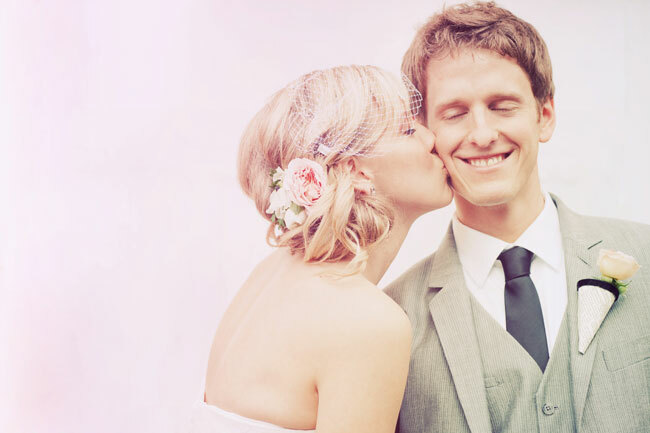 Sally and Chris’s special day is one of those weddings that just blows us away! 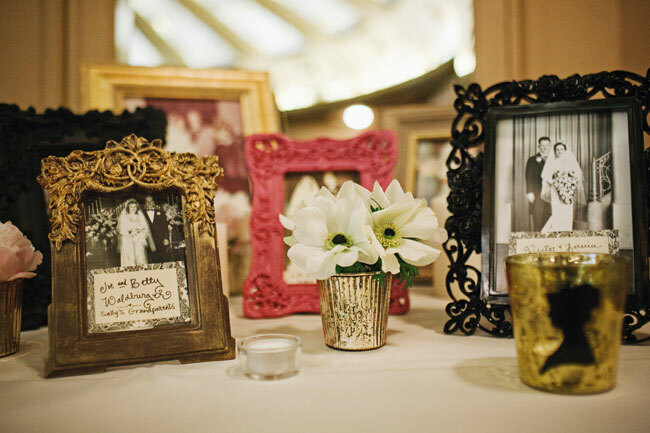 The bride is our kind of girl, she loves pink and vintage…which is right up our alley and Yvonne Wong‘s photography captured so many jaw-dropping beautiful moments at this Arctic Club Hotel wedding. 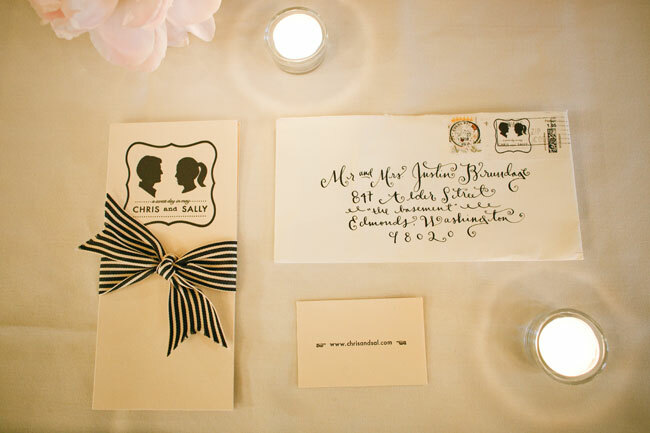 We love their stationery–and no wonder; the bride is a (super talented) graphic designer! The gorgeous twin-silhouette logos graced everything from the invites to the programs. 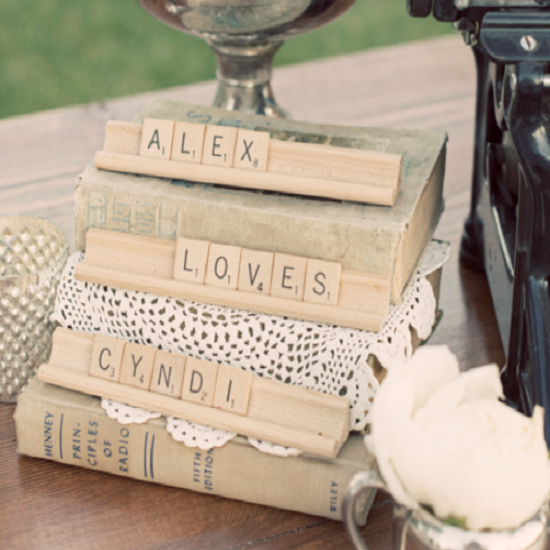 The striped ribbon and gorgeous calligraphy were the perfect touches! Sally and Chris have a Saturday morning ritual of going to the Seattle landmark Top Pot Doughnuts. 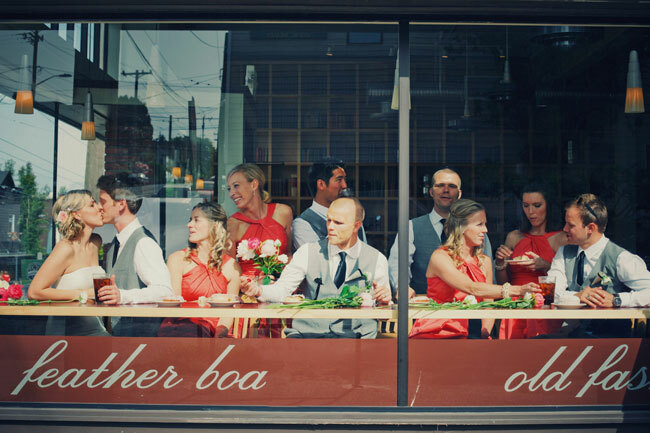 So it was only fitting that their wedding day would start off at Top Pot! Sally made the boutonnieres out of vintage church-hymnal pages…what a fun and unique idea! 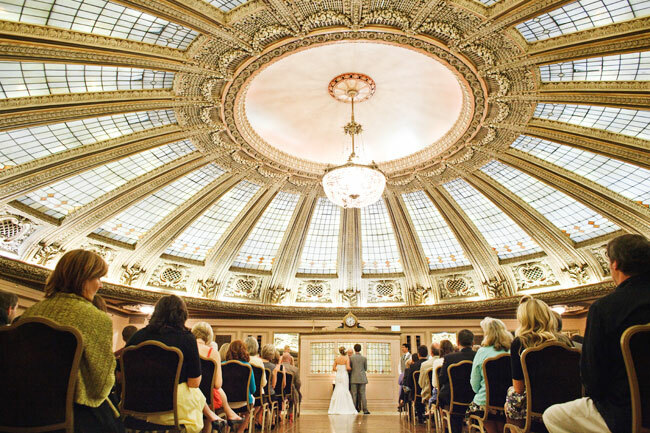 The stained glass dome made a breathtaking ceremony site. A string quartet set the mood, along with an altar set with peonies and candles! 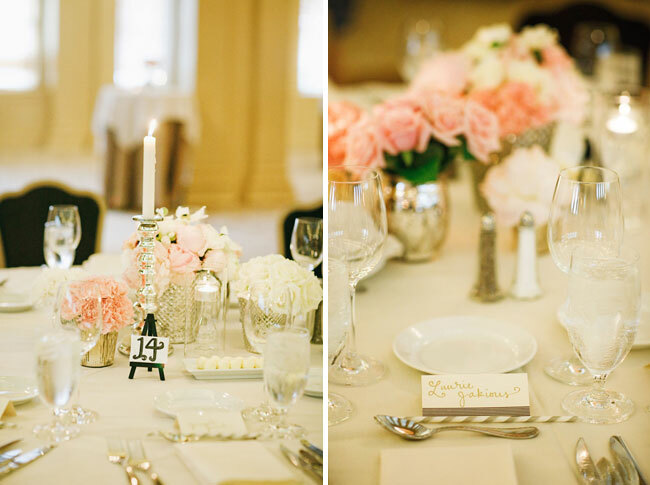 The tables included mercury glass vases filled with peonies and anemones, placecards hand-lettered by the bride, and striped paper straws for sipping iced tea! Their night was topped off with a buffet of doughnuts (yum!). We have never seen doughnuts look so beautiful! 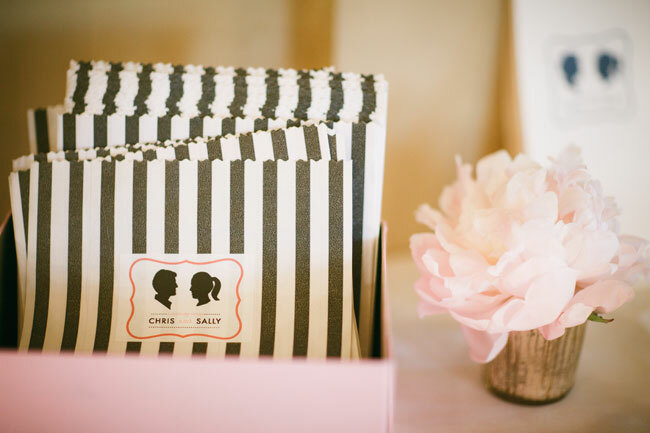 We love the gorgeous striped take home bags. Congratulations, Sally and Chris! Your wedding was absolutely beautiful and elegant! Attractive portion of content. I just stumbled upon your site and in accession capital to say that I acquire actually enjoyed account your blog posts. Anyway I will be subscribing on your feeds and even I fulfillment you access persistently rapidly. 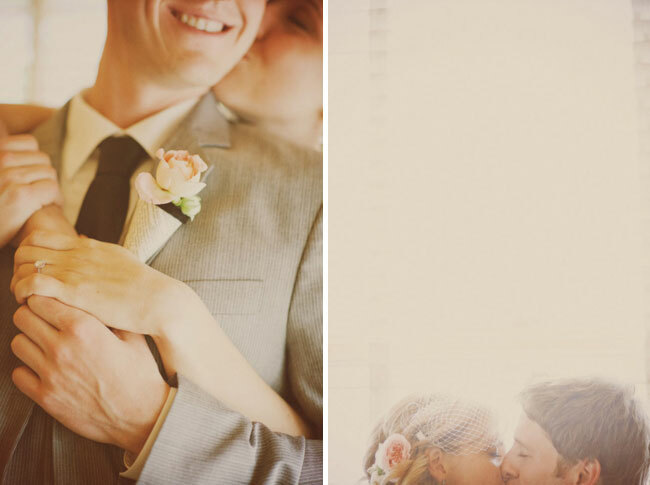 I knew I was going to love this wedding….from the first picture! The invitation suite is darling. The flower arrangement by the dome picture is stunning!! And a doughnut buffet – does it get any better than that!?!?! Fabulous. 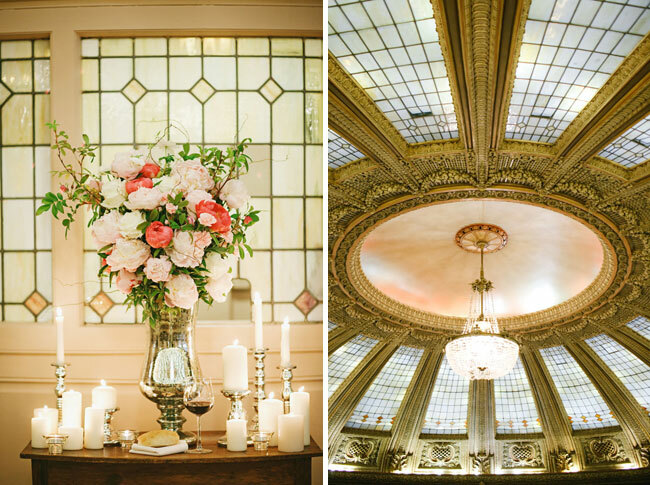 Wow… that stained glass dome is incredible!! And their lovely are just gorgeous! I adore the flowers and the use of silhouettes. Lovely! The Arctic Club is one of our favorite Seatte venues, too! That silhouette-how GORGEOUS! I’m totally smitten! What a great way to start my weekend! 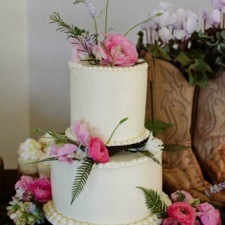 I love everything about this wedding! The flowers, stationary, and photography are amazing! This is absolutely stunning. Love the grand ceremony location and sweet paper pretties. 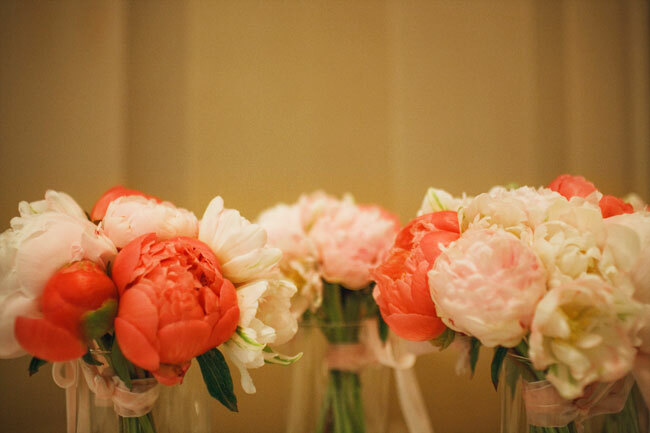 And the peonies!!! My all time favorite wedding flowers! LOVE! 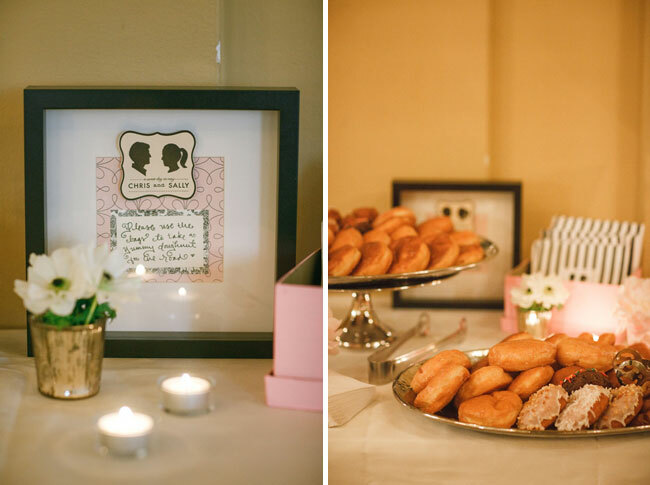 a doughnut buffet & pretty stationary…YES!! !